How was your weekend fellow peaches? Ours was great and I made a mess of my kitchen cooking up a storm. I can't wait to show you some pics and recipes this week. 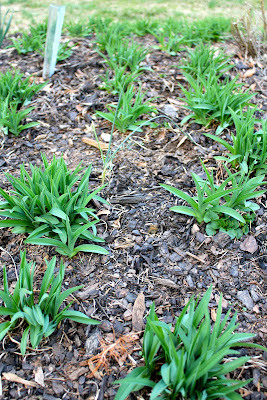 Yesterday I snapped some photos as I walked around the yard. Spring is so close I can smell it! 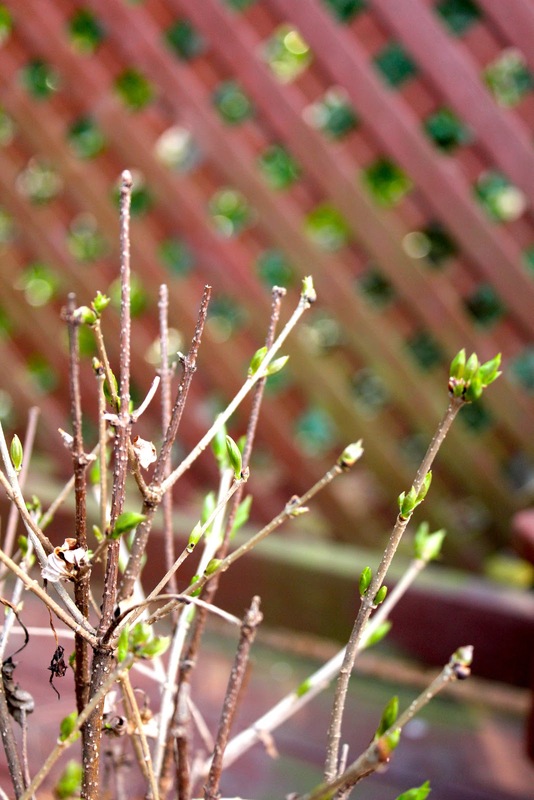 I pruned my rose bushes and will be fertilizing some shrubs this week. By the way, remind me next fall to plant more spring flowering bulbs. They make me so happy! 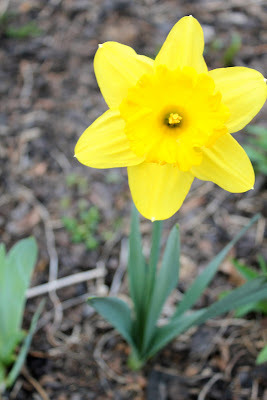 I'm still a little disappointed that more of my daffodils didn't do well with their recent transfer. Do bulbs have a lifespan? Anyone know? Here's what's in bloom down South in my yard. A lilac bush in a pot on the back deck. I purchased it last spring and have been thinking about the perfect spot for it. I've heard they're temperamental but my mom loves them. This plant is for her! I hope I can make it work. A hydrangea cutting (also in a pot on the back deck) from my sister's yard. Love free plants. One of two forsythia bushes I butchered two years ago during a heavy pruning. Apparently, you can't kill them! Thank goodness, because I do love them despite their awkward branches and sporadic growth patterns. One of two Loropetalum shrubs I planted last year. These things are gorgeous, evergreen and grow quickly! Rows of Daylillies...I love their hardiness but I dread dividing them (again) this year. Anyone want some? 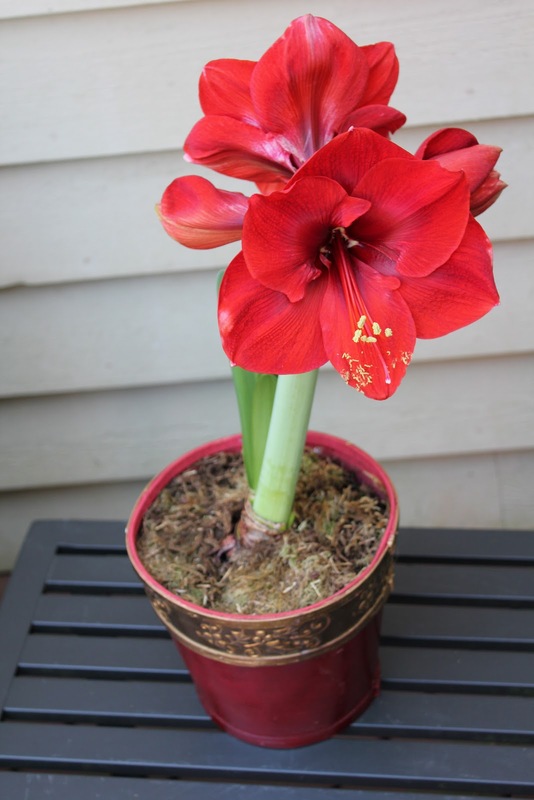 And this blooming Amaryllis literally took my breathe away when I walked into the kitchen this morning. I've been watering it for six weeks and now here she is in all her beauty on our back deck for some fresh air! It was a Christmas gift so I felt a bit of pressure to have some success with this plant. My husband has been looking forward to buying daylilies. qwonder if you can ship those???? By the way, Im totally digging forsythia. I might look for one for my yard. This post makes my mouth water for Spring, sitting on my patio with a mojito!! 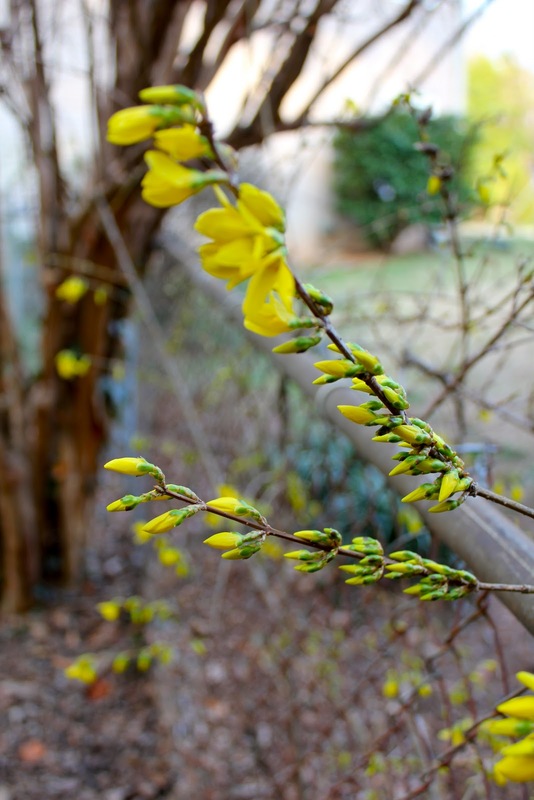 Forsythia are SUPER easy to grow - and DIVIDE! I love free plants too, so be sure you save yourself the $10 and just propogate your own by layering. However, the orange daylillies I "found" from the previous owner in our yard were originally a thrill for me since they run about $7 a pop....I must have had about 50 of them! Unfortunately, they choke out everything nearby.